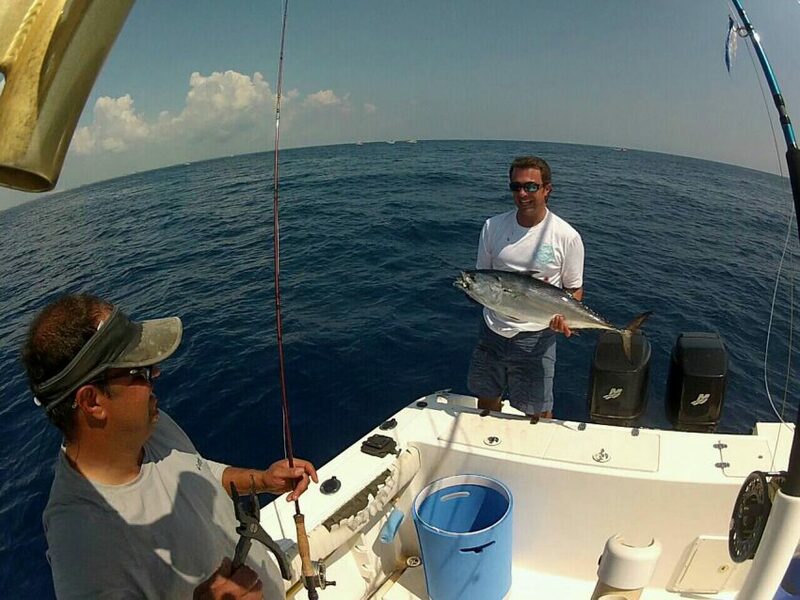 We promise to teach you how to fish, how to release a fish & educate you on various offshore species. I have been fishing so much lately I haven’t had much time to write. The albie fishing is on FIRE and these fish are HUGE! been chumming them up and getting one bigger than the next every cast. Blackfin Tuna, Dolphin and kingfish should be arriving any day now. Also, the wahoo fishing has been excellent. This is my favorite time of year down here. This website and all of its contents is owned and operated by Mocean Grantd Fisheries, LLC. All content on this website, including images, content, and other reference data is for informational purposes only. This information may not be reproduced without express written permission from the website owner. Any use of images or content without express written permission from website owner shall result in civil and criminal penalties. Copyright © 2019 M'Ocean Grant'd. This site is designed and maintained by Power Marketing International.